On Christmas Eve, I tried to do a few new fun things with my treeing knowing it would all be over soon. 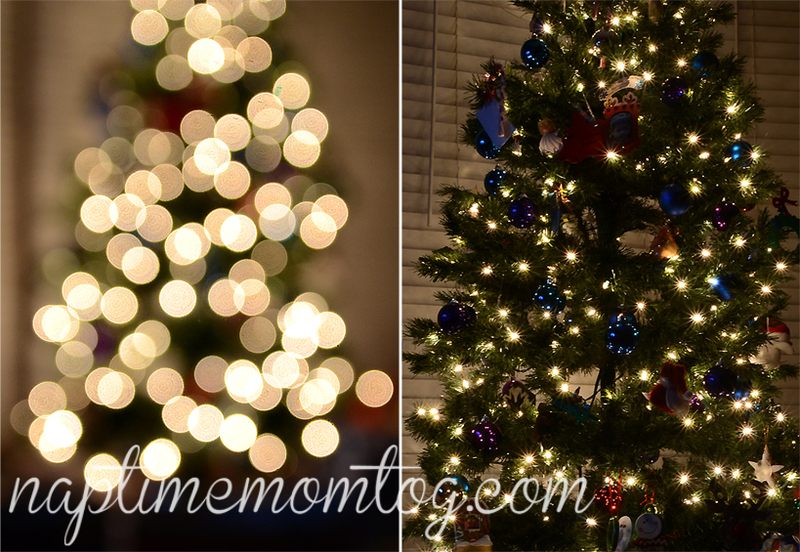 Here is the last of the Christmas Tree Fun…. this year. If you want to see our Christmas click here. Thanks so much for linking up at Teach Me Tuesday! These are such beautiful photos! I hope to see you again next week! Very cool what you did with the lights! Big spots and swirls. I love Christmas tree lights. Too bad they don't last very long. oooh those first shots are so creative! love them!!! I miss our tree already!! :) Hope you had a Merry Christmas. Those first pictures are so fun! I will have to try that, since my tree will still be up when I get home from vacation in January! Fun! Love the pretty bokeh one, and all the blues in the shot next to it. I LOVE IT!!! I'm going to have to try the swirls! Thanks for sharing, it's so wonderful! I love the bokeh shot in the bottom left! How did you do the first two shots?? I think everyone was rockin the bokeh this year. I had SO much fun doing the same. I have a few of the "scribble" pix too. So much fun to slow the shutter down and make designs with the camera. I think next up for me is light painting. I haven't had nearly as much fun with my tree this year - this inspires me. What wonderful photos! I love how the lights bounce in them. Beautiful images, and they look like great fun to make, too. I'm sharing pictures from Christmas in Jerusalem on my blog all this week. Stop by if you'd like to see what Christmas looks like in this part of the world. ----------------------------------- My photography is available for purchase - visit Around the Island Photography on etsy and Society6 and bring home something beautiful today! Neat Photos! I am going to miss my tree! It's offers so much photo inspiration! very cool pictures and very creative! I love those images of your tree...there's just something about the lights that make it amazing. BTW, I arrived here via Kim's blog. I love the first two shots! 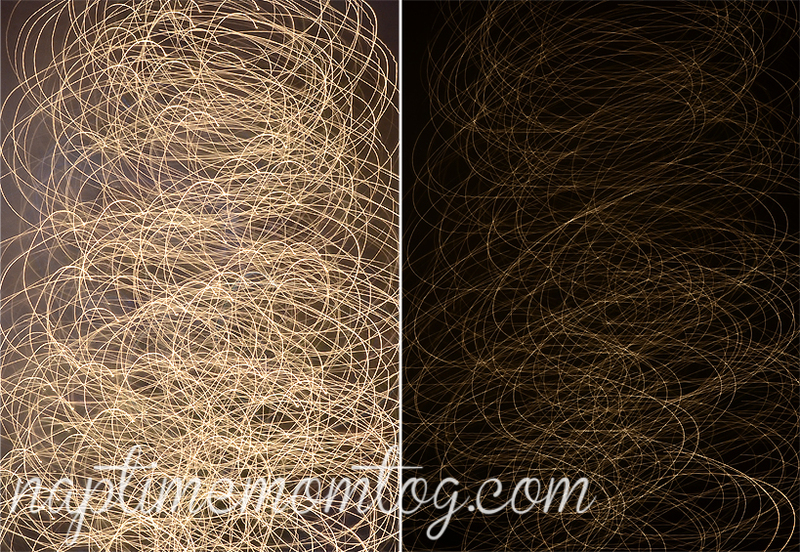 I didn't even get a chance to play around with my camera and the Christmas tree lights before my camera broke. :( Hope you all had a wonderful Christmas! That's a great idea Sarah! I need to do that before I take my tree down. Thanks for the reminder! How did you get those first couple photos? Way cool. Amazing how many possibilities there are with a DSLR. Happy Holidays!